Tsubasa v25c199 + Otome Youkai Zakuro v01c01 + HIRING! Okay. We're in a pinch. It's been nearly two months since Tsubasa was released and that's pretty bad for me. Staff love for this project is unsustainable. We've got it all scanned. Edited. Translated. Typeset. But we just can't get these through QC! And even when that happens, its just not the same as it used to be. We've been needing new blood for a long time. New blood that cares about our Tsubasa. What we need are people who have excellent command of grammer grammar. People who can look at a page and spot that an i should be an I (which is less obvious in comic book fonts). People who know when things sounds awkward and can offer better alternatives. Notice missing SFX trans. Consistent tenses. And I also really need people who can romanize and translate Japanese sound effects. This job doesn't require fluency or great Japanese language skills. Just sound effects. Email me at chara.redth[at]gmail[dot]com for a test. Please be dedicated enough to meet at least a MINIMUM workload of one chapter per week. The site is still being worked on. I think that should say 199 instead of 196...? Haha yeah. We need more Foxies. Re: Tsubasa v25c199 + Otome Youkai Zakuro v01c01 + HIRING! Once I have more time (I still have some site fixes to complete! ), I would be willing to help with QC. If you're fine with me having a slower pace just to get things moving, we can discuss when I'm next on IRC. I wish I could help but I am not enough of a grammar nazi and I don't think I'd be able to spot the i's in place of I's. 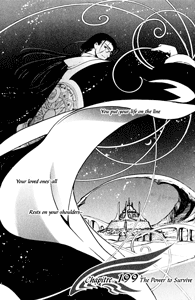 I really wish you guys could put up all the chapters sooner I mean I have read all of tsubasa before but re-reading it becomes a pain when official translations are slow and aren't very good and when you guys release chapters slower than Del Rey t is depressing because you have the best quality scanlations of tsubasa I have seen. You translate all the splash page text and you don't mess with the dialouge or make it all engrishy. Thank you for all your hard work. Just heard on pure's IRC channel that they are shut down for good. So what I wanted to know if it's true(do you know anything) and if so how will this compromise the series you where co-working on?? Yep, that's right. Pure blew up. However the blog as been un-deleted now and there's a post explaining to readers what's going to happen to all their projects http://pure-scans.blogspot.com. As far as the BWYS-Pure projects go, there are no staff changes, only group-name changes. Otome Youkai Zakuro and No One Knows, which were "BWYS+PURE" will now be just "BWYS". Peony Pavilion, which was "PURE+Shinnen" will now be "BWYS+Shinnen" (I personally did several roles undercover for that project). Basically, all the groups Pure jointed with are absorbing the remaining staff related to those projects. 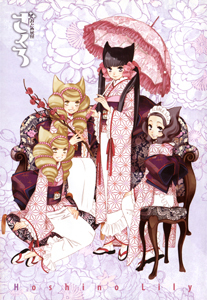 Hey, you should change it to /MSG [BWYS]Kurorin XDCC SEND #59 for Otome Youkai Zakuro, not #58. Changed~ although the commands in the news posts always get old after newer releases and unfortunately I can't go about updating them all.